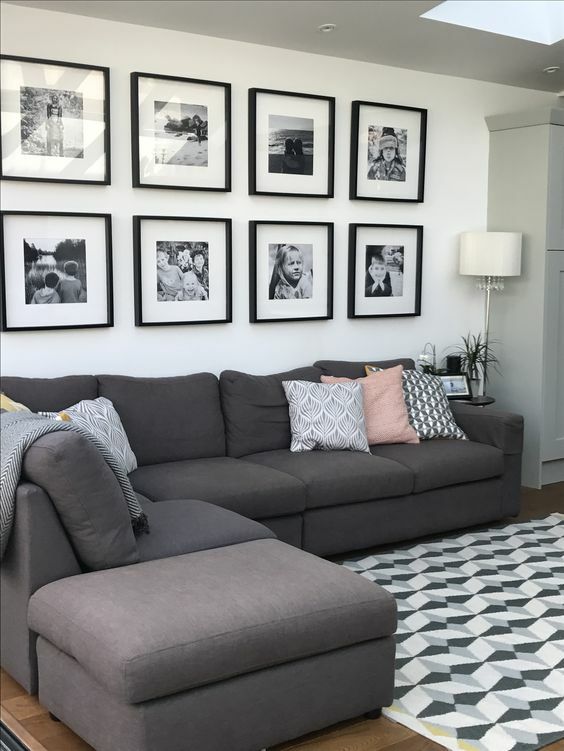 Create a nice gallery wall display over the sofa using black frames and black and white portraits. Or you can go with photos with subtle colors. Brown frames work well too. 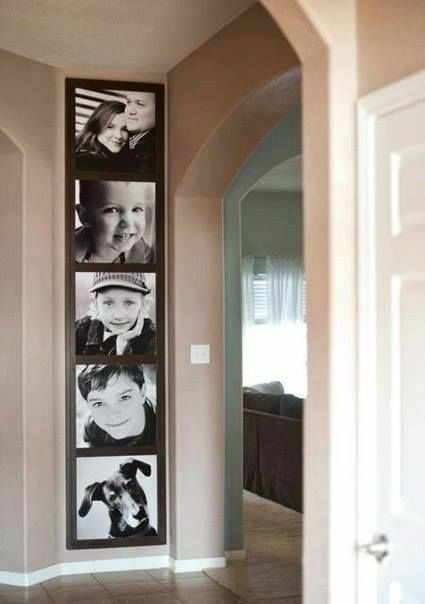 No matter how narrow the wall may be, there will be space for your photos. 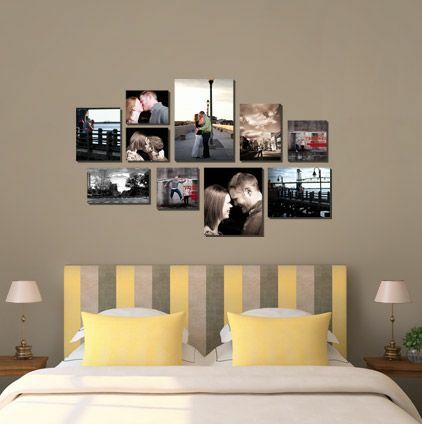 Have a neat grid of your favorite photos over the bed to serve as your headboard. The photos need not be of the same size. 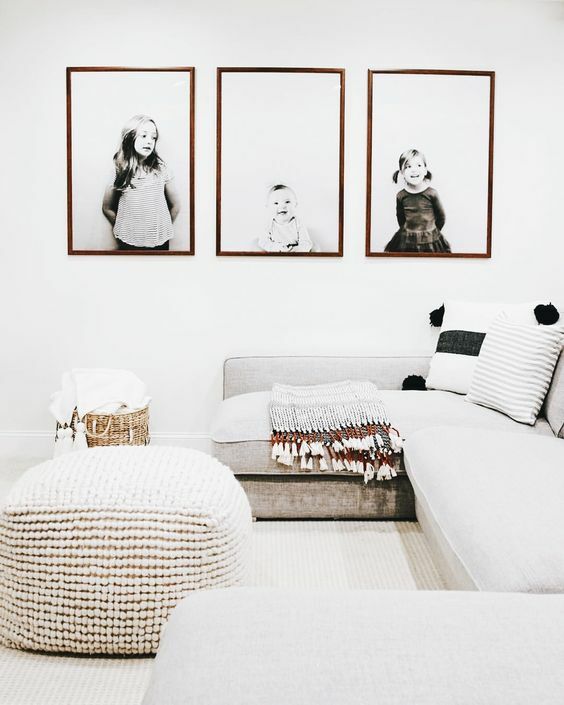 If you can’t afford frames as of the moment, you can hang your favorite snapshots. 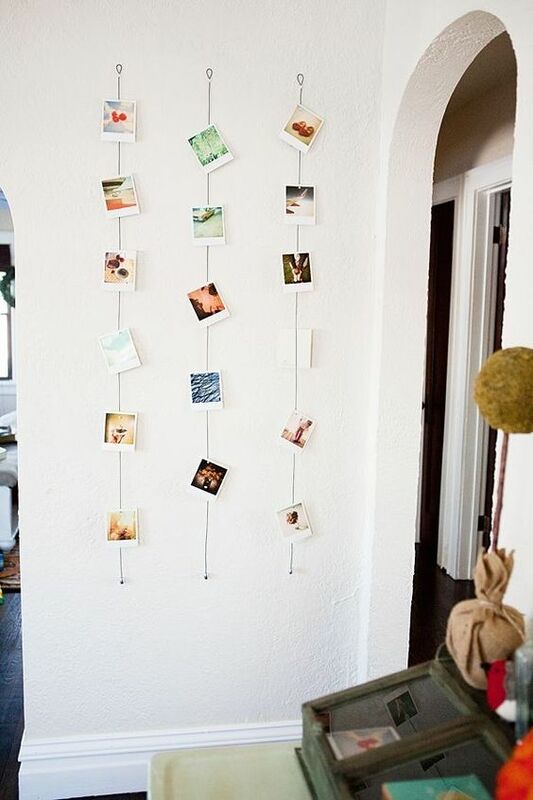 Tape your photos to a string attached to a clever starting point like raw wood pieces. You can hang them in an organized chaos way. They don’t have to be perfectly aligned. 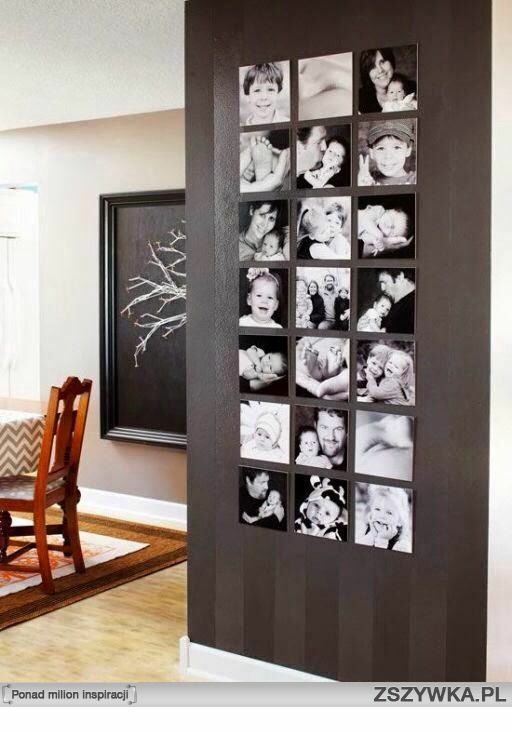 Use double-sided tape to create a clean grid of photos. You can arrange your travel photos according to the spectrum of light for more impact. 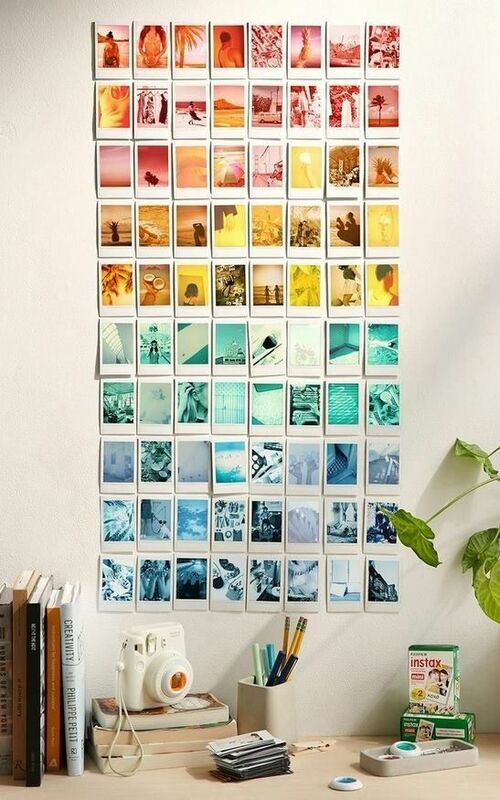 Cleverly arrange your collection in various shapes as well. 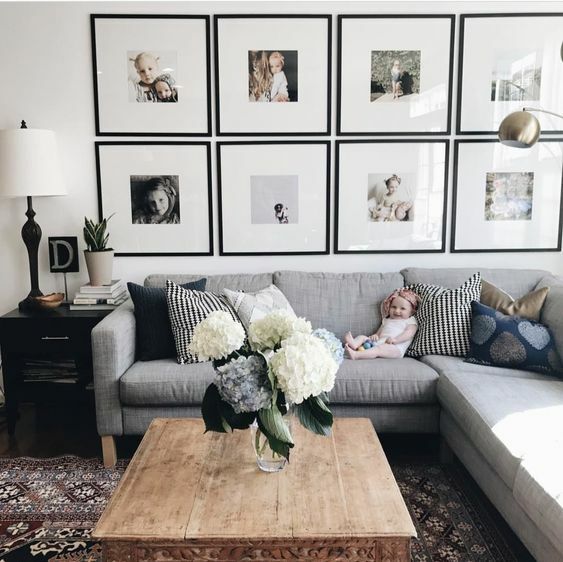 It is a great idea to create a photo wall in your home, but let’s admit it, staring at a blank wall can get a little intimidating. Curating the artworks and photos can be a daunting task. 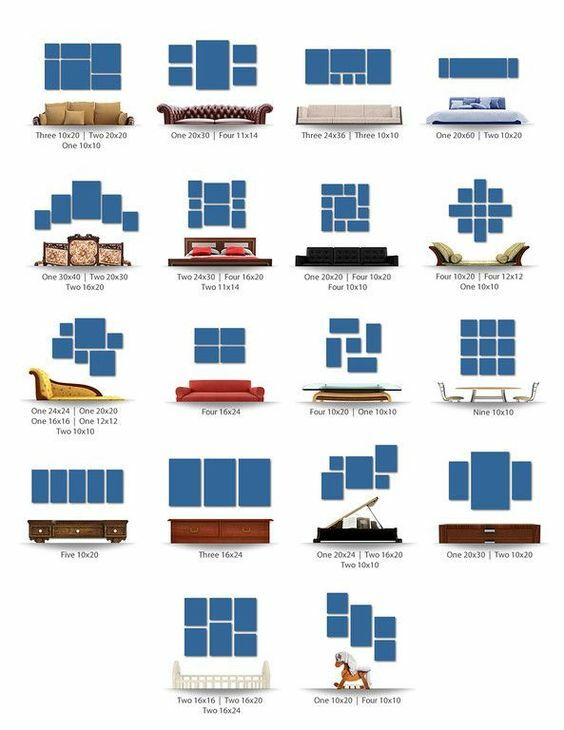 To help you out, here are some great options for displaying your wall art in groups and panels or sets. 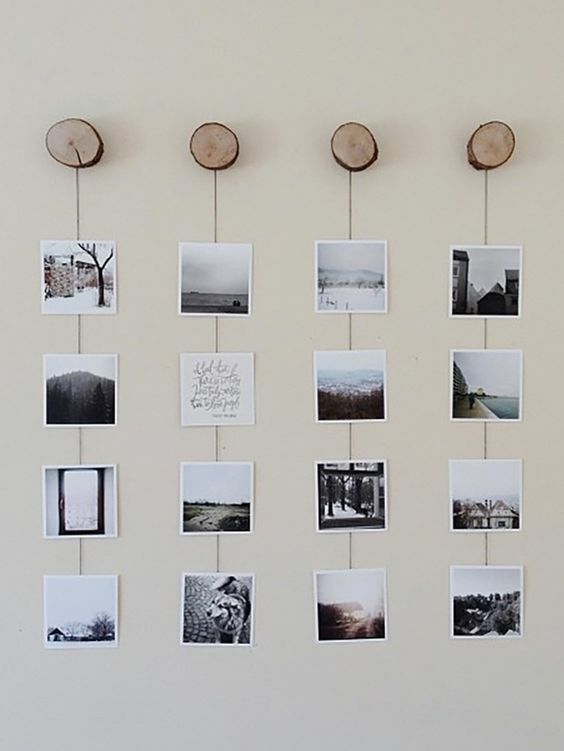 There are so many ways to display your collection of photos. 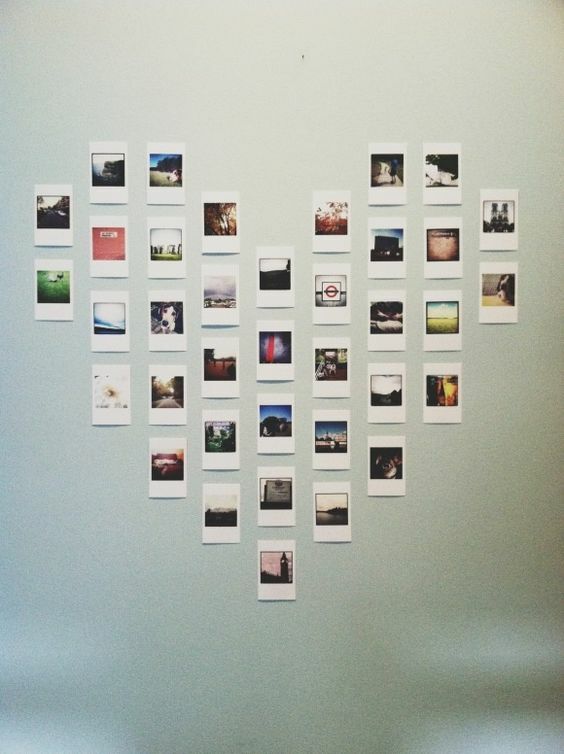 What’s your idea of a perfect photo wall? 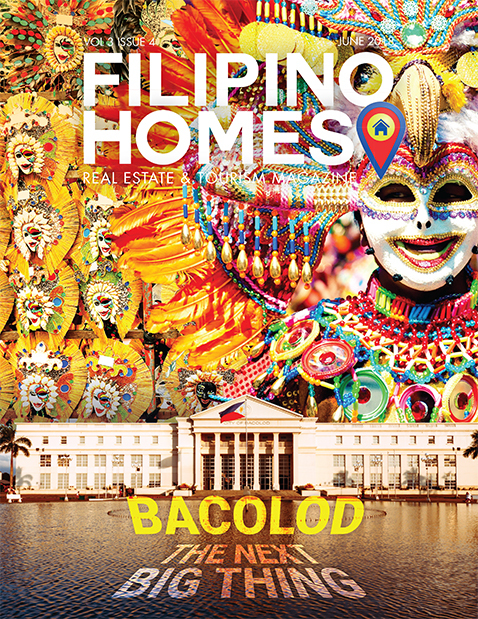 Lovette Jam is a founding member and blogger of Filipino Homes. She is a freelance digital media professional. With a Masters in Business Management degree and Hubspot certification on Inbound Marketing, she currently works as a social media manager, project manager, and digital consultant. Lovette Jam is also the founder of Iligan Bloggers Society, Inc. She authors the travel blog Travel Jams and lifestyle blog Lovette Jam.